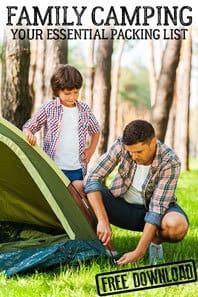 With sunshine and March just around the corner, it feels like Spring is upon us and we’re getting in the spirit especially with St David’s Day coming up. 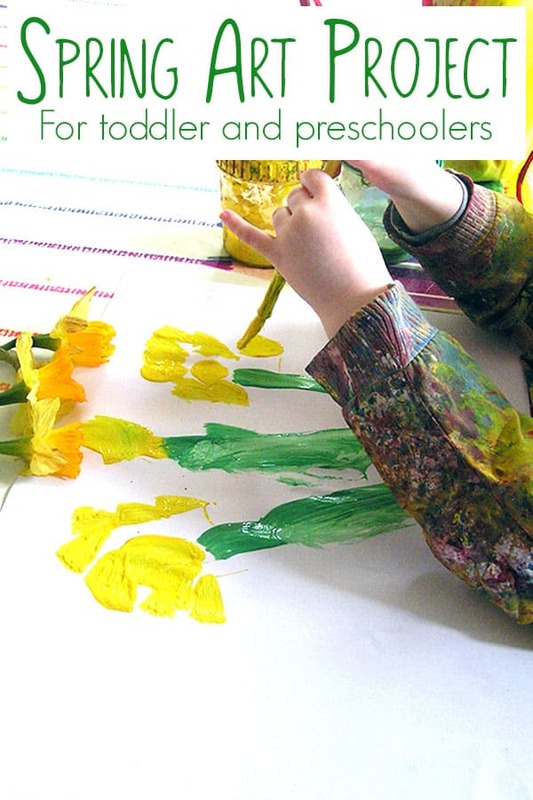 Taking inspiration for this and the flowers that are starting to appear in the garden and the shops we set about setting up a simple spring art project for our toddler and preschooler. 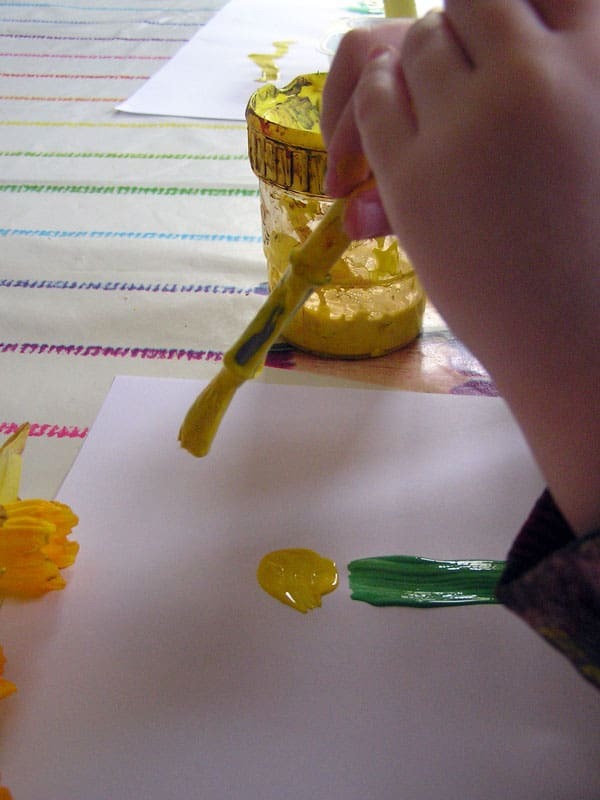 So gather some spring daffodils and paint and let your toddlers and preschoolers paint what they see in this spring craft for St David’s Day. 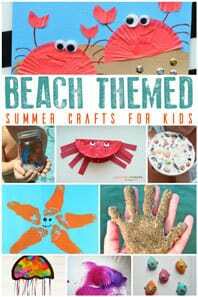 Looking for more Spring Arts and Crafts for Toddlers and Preschoolers then check out ideas here. 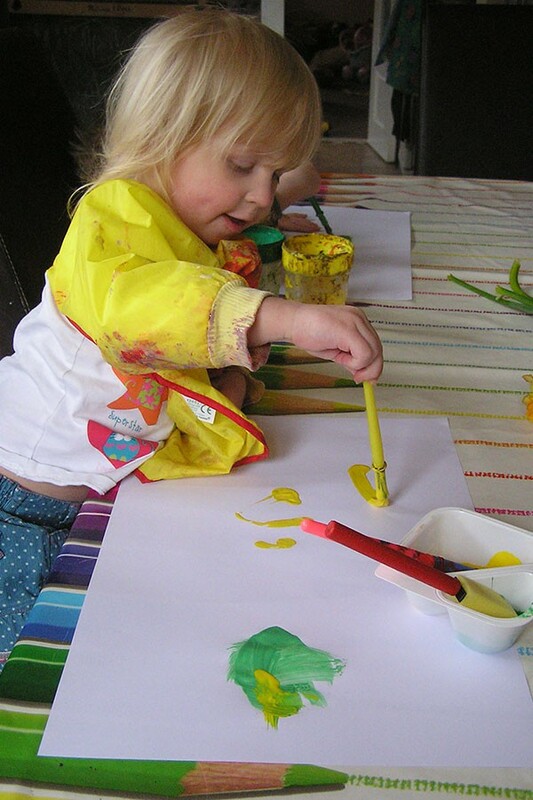 Although we love making Crafts with our toddlers and preschoolers we also like to introduce more art. Still life painting gives them a focus and it’s amazing how much detail they will notice and put to paper. 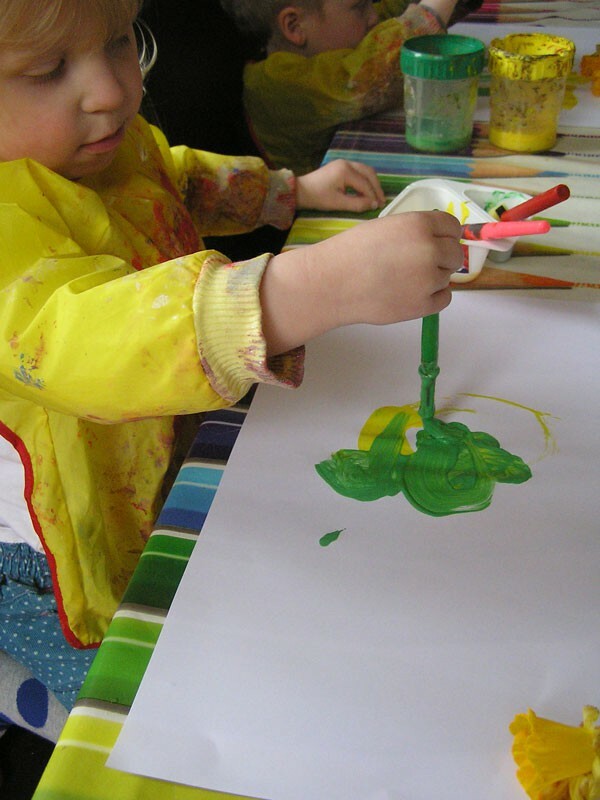 Although we have an easel we did decide with this activity to paint on the table top so that both the toddler and the preschooler could paint together. 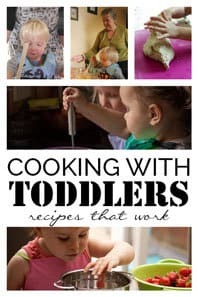 We have included links to the materials we used in this invitation to create for toddlers and preschoolers. 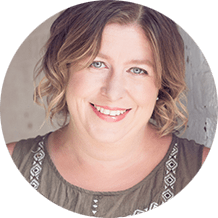 If you purchase via our links we may earn a small commission. 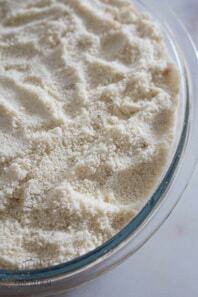 Paint Pots or containers especially when working with different ages. 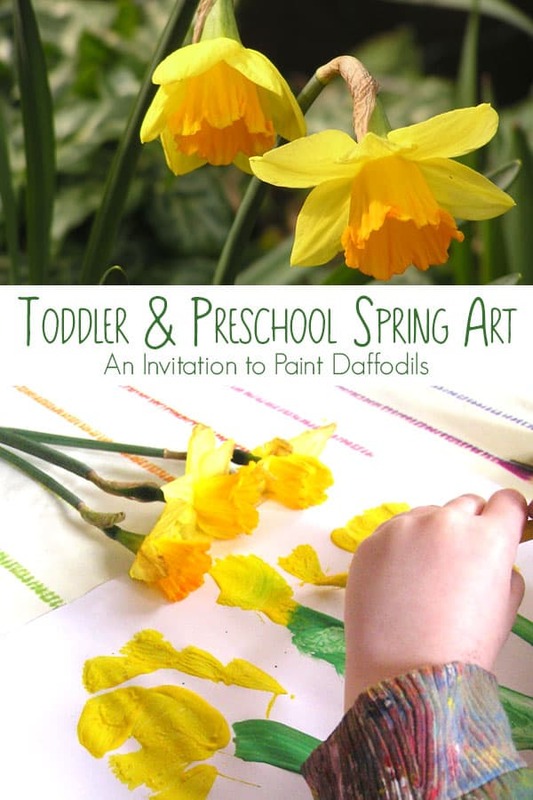 How to set up an Invitation to Paint Daffodils with Toddlers and Preschoolers. With two kids of different ages and stages, I find it easier to set up two sets of equipment for them. J loves using paint pots similar to how he does at preschool, they are also great if I’m on a less mess as possible day. T on the other hands still hasn’t got the fine motor skills to deal well with a paint pot so I either use a dish or like the yoghurt pot that she can easily get the paintbrush into. 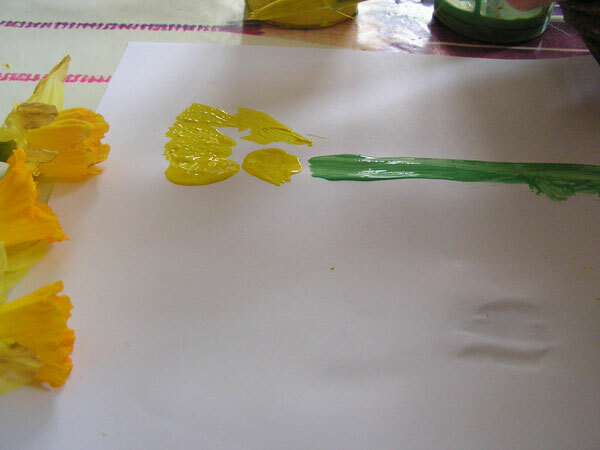 With the daffodils set out on a piece of white paper in front of them and green and yellow paint provided they set about creating a still life. It’s interesting to see the different stages of developing their artwork that J and T are at. 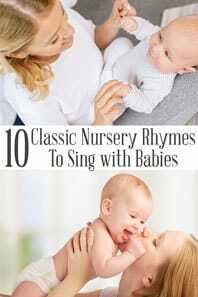 T is currently 2 and 1 month and J is 3 and 7 months. T tackles the painting by splodging the paint on – you can see that she has identified that there is a green part and a yellow part and that is on top of the stem, but we don’t have an idea that it is a flower yet. 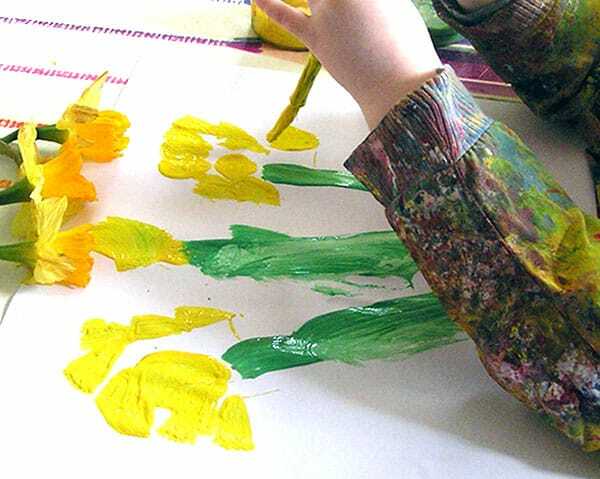 J, on the other hand, is developing skills where he is able to use the brush in a different way to create different shapes – he does strokes to get the stem up and down – fantastic for pre-writing skills and then swirls for the centre of the daffodil. With the petals he discovered that the best way to form then was to squash the brush onto the page producing the petal shape easily and moving it around the central circle. 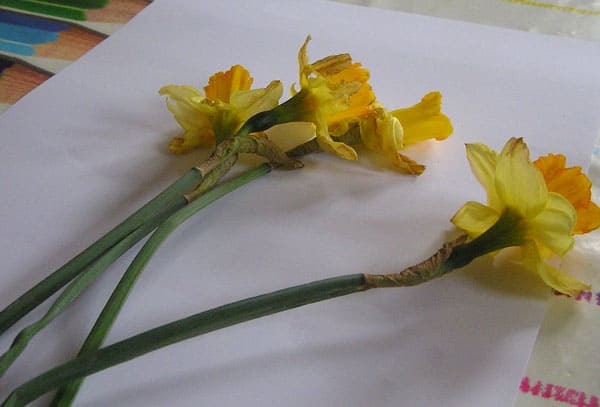 Last year when J picked the daffodils in the garden we used them to explore how plants work and created colourful petals with a very simple experiment for kids to do at home with you. 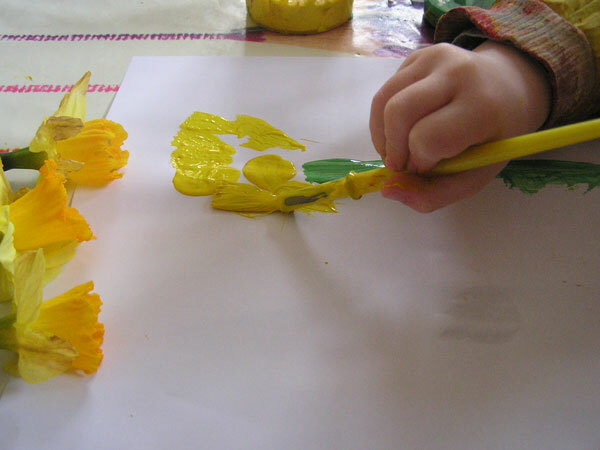 We have also loved making our own 3D Spring Daffodil picture with preschoolers it is a great way to work on cutting skills with them and they have lots of fun making something in the different dimensions. Don’t forget that you can bookmark or pin this Spring Art to make when spring has arrived where you are. It’s simple to do and although we used daffodils you could us any of the colourful spring flowers from your own gardens. Thanks so much for the mention. 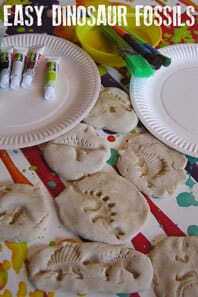 This is still one of my favourite activities & one I think the children love as they feel so grown up doing this. I’m very impressed by J’s painting & hope it is proudly displayed with T’s. Impressive work by both the kids! I love that J squashed the brush onto the paper to make the petals!